Social Media is quickly becoming the marketing backbone of business success. As such, there are few courses available in schools on how to use social media as a primary marketing tool. However, the 21st century demands that this change be made. So we at SketchCorp Marketing aim to educate you on the changes needed. 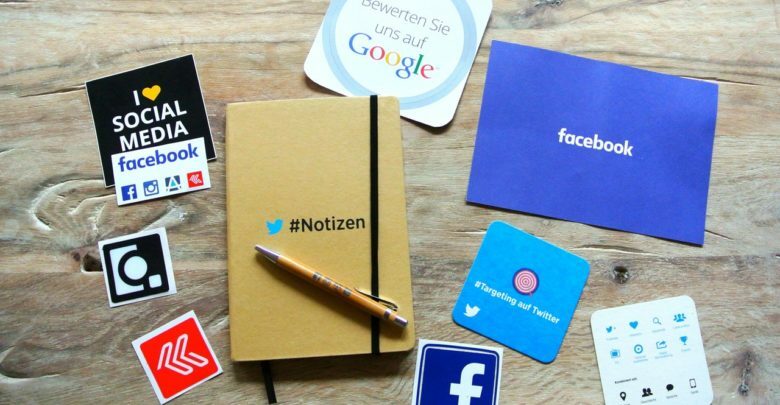 As the world is moving away from cable television and radio ads, developing a personalized social media presence is an absolute must. While several of the tried and true marketing methods are transferable to various social media platforms, small businesses and huge corporations alike are making several critical mistakes which are costing them valuable leads and even credibility among their consumers. Correcting these marketing mistakes is mission critical if business owners wish to get their business off the ground. On the flip side, those who implement proper practices will inevitably see success in the upcoming quarters of 2019. Social media is a finely tuned tool specifically designed to engage a wide range of consumers. Crossing cultures and international borders with just a click of a button means that businesses have the power to engage more of a consumer base than ever. However, with this power comes great responsibility. This larger consumer base offer the prospect of greater sales and business expansion. However, the other side of the coin falls in your lap. As the business owner or marketing agent, it is your responsibility to cater to a variety of different cultural ethics, viewpoints, and ways of communication. While you don’t have to be fluent in the languages of South Africa or know every Hindu god to be relevant, you do need to take into account the different cultural backgrounds when communicating and advertising to your consumers. Knowing how to frame your brand’s ethos in multiple ways of thinking and backgrounds offers your consumers the chance to understand your mission in their own context. Contextual relevance is key for reaching an international audience. Some larger corporations compensate for this by having multiple facebook pages or twitter feeds for followers heralding from different countries. While this works for major companies like Dove, this is not recommended for small businesses or upstarts. One page is enough to get out to your market. If you have more than one social media page on a singular platform, users have a tendency to get lost and confused. Plus, spreading yourself too thin on content is never a good plan. 1. Causes inconsistent feed activity, annoying your customers. 2. Is dangerous to your brand because it promotes sloppy production. However, before you can create a successful social media schedule, you need to first look at the different types of content you will share on each page. Do some research on what is trending on each type of social media. For example, Mark Zuckerburg predicts that in just a few years, the majority of facebook content will be videos. While facebook is still a lucrative place to post articles and blog posts, visual content is being seen more and more on popular feeds. Once you’ve done some research on different types of content, map out what kind of content you’ll be most likely to produce. Master 2 or 3 social media platforms and slowly branch out from there. Another important aspect of planning is knowing when to post your media. This includes time of day, but even more important is frequency. Knowing how often to make a post is even more important than when it’s posted. There are several tools that are specifically designed to allow you to create a posting schedule that will optimize your content views. #7 on this infographic highlights a few of them. Personal branding is an incredibly important part of running a business. However, a big part of your personal brand is how well you share space and content with others. Avoid posing only advertisements and your mission and goals. Instead, focus on the content that you can offer to your consumers that your product and service merely accentuates. Promoting the posts and ideas of other people in your niche shows a spirit of community that is greatly appealing. While you don’t need to post direct quotes from your competitors, showing that you prefer to work with others and are coachable makes your brand relatable to consumers. The other side of this coin is how much content are you giving that does not correlate to e a hard sale? Offering blog posts, infographics, event invites, and other promotionals on your social media pages allow your consumers to see your brand’s ethos apart from your product or service. This ultimately makes them more keen to work with you, and even monetarily support your enterprise. One of the most important aspects to social media is that it is specifically designed as a give and take platform. Just as consumers want to receive education and entertainment from the businesses they follow, consumers also want to feel heard. While many companies are good at interacting with their consumers on a positive and even humorous basis, they often drop the ball in regards to negative feedback. When a consumer leaves a negative review, this is usually not for the sake of bashing the company just for the sake of bashing them. While the internet does have trolls living in their parents’ basements who find great amusement out of watching corporations grovel, most consumers speak out because they want a change. So, instead of making a lame excuse or offering a profuse apology, engage with the consumer on their ideas of what would make the product or service better. Just as the digital world is constantly changing, so too are consumers’ needs. Listen to their needs and make adjustments where needed. Consumers who feel listened to are consumers who come back for more. Tracking analytics is necessary in order to see what kinds of posts are most effective. Businesses use analytics to understand ad revenue. Take that same approach to developing social media. Track how many followers you gain and lose on a daily, weekly, or monthly basis. See the dips and rises in trends based on the kind of content you post and when you posted it. Allow your social media to be measurable and stick those measurements into your plan moving forward. Make projections on where you want your follower numbers to be and how you plan to get there. Ultimately, correcting these detrimental social media patterns will lead to more success in your business’ social media campaign.